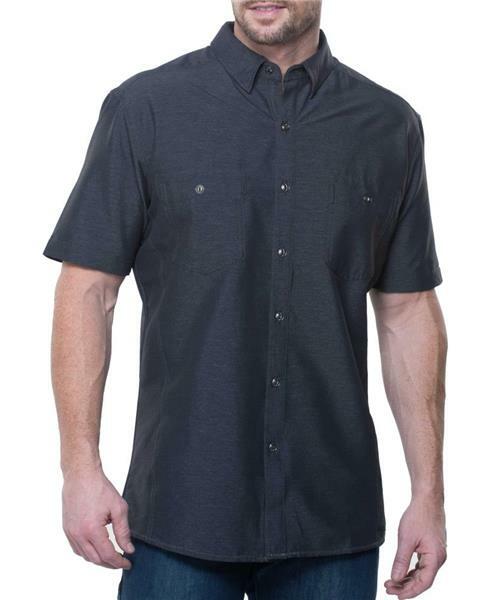 The Kühl Reklaimr™ SS Tapered Fit Shirt features a moisture wicking, quick dry performance blend with DWR and UPF 30. The Reklaimr™ SS features a hidden button-down collar and 2 chest pockets with button closure. Kühl's signature round bar-button system adds stylish detail to this performance shirt. Versatile, comfortable, and easy care, the Reklaimr™ SS is perfect for travel and adventure.